YANGON, Myanmar -- For three years Phyu Phyu Thin has volunteered to work with HIV patients in military-ruled Myanmar, but like many charities, hers is unable to offer life-prolonging drugs. That has prompted many patients to turn to traditional herbal medicines and Buddhist meditation, which offer some comfort if not a cure. ?Sometimes I feel very sorry for the patients. We can only provide counseling and education. We have no medicines like anti-retroviral drugs,? Phyu Phyu Tin says. ?Our contribution is very limited and that makes me very sad,? she says. Charities like the one Phyu Phyu Thin volunteers full-time with, which is run by Aung San Suu Kyi?s opposition National League for Democracy, can offer little more than aspirin and multi-vitamins to treat people with HIV. 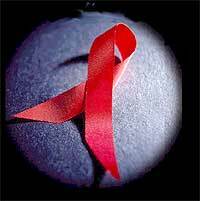 An estimated 339,000 people were infected with HIV at the end of 2004, according to statistics from the military government?s National AIDS Program (NAP). In the last three years, the ruling junta has opened up to about 30 international agencies working to fight the disease, but their activities are still limited and most volunteers would speak only on condition of anonymity. Although Myanmar has one of the highest rates of HIV infection in Asia, estimated at 1.2 percent of the adult population, fears that aid money could be misdirected has left donors reluctant to contribute very heavily to anti-AIDS efforts here. International agencies working here are reluctant to speak about their activities, citing the military?s restrictions on their work, but so far have only managed to secure financing and government approval for a handful of small treatment schemes. That has sent many sufferers searching for alternative remedies, sometimes through traditional healers or Buddhist meditation, which volunteers say they know cannot cure the disease but may at least provide some comfort. In September, Buddhist monks and nuns here started their own outreach program, known as Yadana Myitta that uses the teachings of Buddha to counsel patients and to educate volunteers. In addition to trying to educate communities about how to avoid HIV, the program also trains volunteers to work at a free clinic and teaches patients how to meditate, which traditionally has been viewed as a means of pain relief by focussing on inner peace, one 21-year-old volunteer says. ?At first, I was nervous about dealing with HIV cases. But that changed after I received the training,? he says. Christian groups, who make up about four percent of Myanmar?s population, have also started awareness programs. ?The most important thing is educating people ... because at first they might find it difficult to accept someone with HIV,? an officer with the Myanmar Council of Churches says. ?If the leaderships of churches are aware of the reality of the disease, they can help others accept them,? he says. Some people have turned to traditional cures to try to treat the disease, especially in remote, rural areas, he adds. Myanmar officially tries to discourage herbal remedies, banning traditional healers from advertising their services, which the military views as quackery. But in rural areas, healers still search in the forest for plants that they grind or boil into remedies that sometimes are the only affordable medicines available. But volunteers say the junta?s attitude toward HIV prevention has improved in recent years, after the military spent most of the 1990s in denial about the disease?s rapid spread.